Complete puzzle solution icon, outline style. Complete puzzle solution icon. 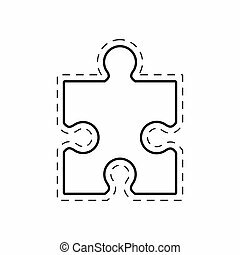 outline complete puzzle solution vector icon for web design isolated on white background.